Orkut was my favorite social network in few years back. It wasn’t widely used & popular in Sri Lanka. For me, Orkut was a nice place to connect with new friends lived in other countries. 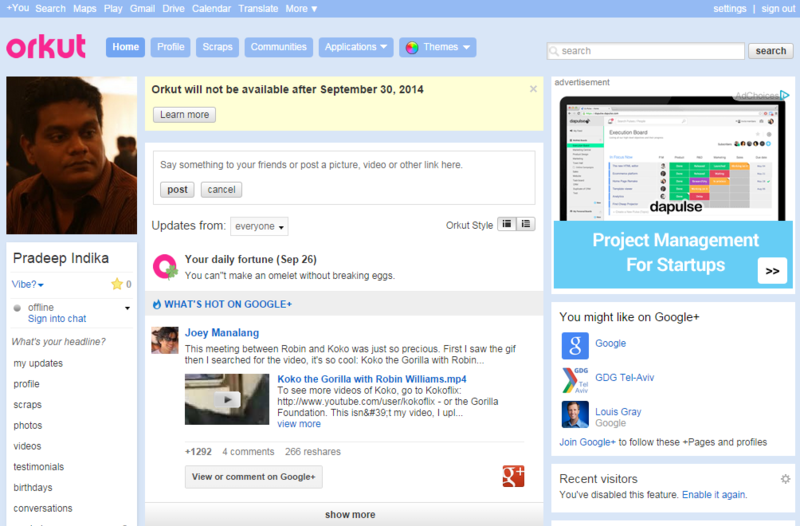 Google has announced it is officially shutting down Orkut on 30th September 2014. So Farewell, dear Orkut. Thank you being with me and your service. I’ll never forget you!